​Our Mission: To preserve, document, and classify the physical history of the Lake Minnetonka area; to provide a means by which everyone can share in the history of the lake area; and to stimulate interest in the cultural heritage of the area. 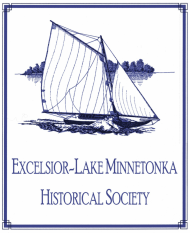 The Excelsior-Lake Minnetonka Historical Society has a great internship opportunity for college students and recent grads looking to gain hands on experience in the field of museum education. The internship may be completed for school credit. Stipend of up to $500 available. ​Learn more ​here.